Pre-heat oven to 350 degrees. Coat a rimmed baking sheet with cooking spray. In a small bowl, mix the chicken, pork, or shrimp with 1 tablespoon soy sauce, all the rice vinegar, 1/2 the garlic, 1/2 teaspoon ginger. Ina second bowl, mix 1 tablespoon soy sauce, 1/2 the garlic, 1/2 teaspoon ginger, sesame oil, bok choy, carrots, water chestnuts, and the green onions. Heat a large skillet over medium high heat. Pour 1/2 tablespoon oil into hot pan. When oil is hot, cook the chicken pork, or shrimp about 3- 4 minutes, or until done. Remove to paper towels to drain. Wipe skillet of any juices. Pour 1/2 tablespoon oil in hot skillet. Place the vegetable mixture in the hot oil, stirring constantly for 2-3 minutes. Add the meat back into the skillet, stirring to mix with the vegetables. Spoon 1/12 of the meat/vegetable mixture onto one corner of a spring roll wrapper. Roll the wrapper diagonally, folding the corners and edges in as you go. Make sure not to fill them with too much filling and wrap them tightly. 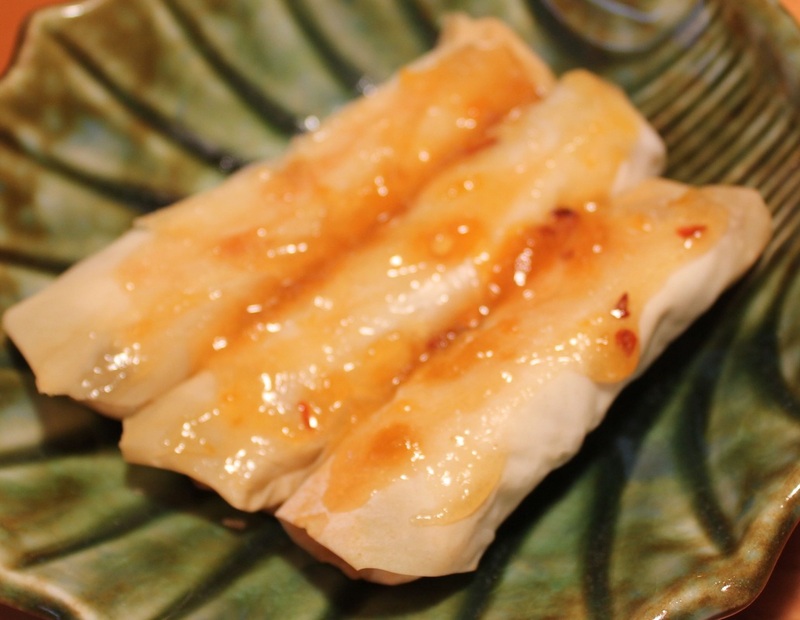 Place the spring rolls onto the prepared baking sheets, spray the tops with cooking spray. Bake for 20 minutes, turn over, spray the tops with cooking spray again, and bake 10-15 minutes. Serve warm.